for $1,117,200. The lot size is 228.000 Acres. 228+- Acres being cut out of a larger tract. This property is a must see of approx 150 acres of pasture land and approx 78 acres of woods. There are beautiful big oak trees throughout the property, and so many great homesites, 3 ponds, sandy land. The seller has built a rock road that winds through the property. This property is a paradise to live that is approx 45 min for commuting to the Metro plex or a great weekend get-a-way. 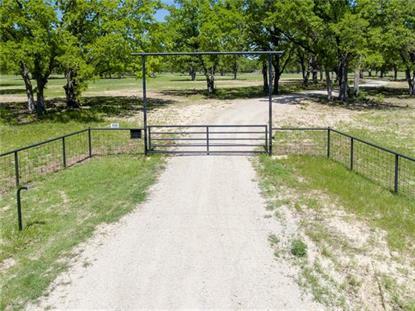 So much privacy on a dead end road, with plenty of wildlife for the hunter or recreational use. Many possibilities for this great property. The property line will be approx to the creek. All info to be verified.